It has come to my attention that we are in need of a thread which explains where to get started for installing the various MechWarrior 2 versions therefore in this post I will endeavor to make it as straightforward as possible. There are multitudes of versions of the game available, so please do not expect a version by version account of what works for each versions as that would take over twenty or more pages. Before I get into all the various options available, it is highly recommended that you know what version of the game you are using, so please visit our versions guide. Most people installing MechWarrior 2 on any operating system will want to use the first solution (MechVM). The other solutions are good in their own right, but MechVM is by far the simplest out of all of them. Be aware ATI Rage or other special hardware versions will never ever work without the correct hardware, so please do not ask! 3dfx is the only exception to that rule. With regards to the Windows 95 versions of MechWarrior 2 it would be very important to note that they are either hit or miss. Many times people will go through the entire list of solutions and none of them will work. Why is this? No one knows exactly, but the most common indicator that the game will not be working any time soon is a black screen then crash at the launch screen in the game. When I see that indicator it usually means that no other solution will work either, but this is not always the case so keep trying until you exhaust your options before giving up. If you are looking to buy a version of MechWarrior 2 my advice is to visit this thread and choose one or the other. If you are looking for Mercenaries or GBL please visit this thread and choose. If you have trouble with any of the above solutions listed please post in one of the tech support sections on the forums with what version you are using, which method you tried and the steps that you took. We do not have all the answers, but we will try our best to answer those who ask. This is especially important if there is a problem with MechVM, if no one reports a problem it cannot be fixed. Please post in the MechVM section for issues regarding MechVM. If you would like to join us and play multiplayer with us we play daily. 4 PM PST usually is when people start showing up. If your interested please visit this thread to get the installer. Be aware you will have to make a few modifications in order for the connection to work... read the big red letters. Also our IRC channel is #netmech at irc.outpost-universe.net... the default client that comes with the package probably will not work however so please use your own IRC client. It is also highly suggested that you read our multiplayer rules before playing so as to be ready for the common things which come up. 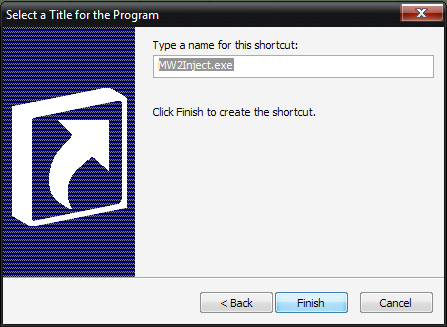 This program allows one to install many of the most popular versions of MechWarrior 2 ranging from MW2 DOS to Titanium. It is highly recommended that everyone try this solution first because it will install and patch games to a working state. Download and Extract MechVM to a directory of your choosing. Put a version of MechWarrior 2 in your main CDROM drive. It should detect the version, so just click the button with the name of your version. After it is installed you can either run it through the Play button or go to the games folder in the mechvm folder and you can find the game installed. Note: In Vista MechWarrior 2 DOS is installed into the DOSBOX sub-folder instead of the games folder. For more details please visit this thread. This program is a little bit more complicated for most people as it is not always automatic. If it works automatically you should count yourself lucky. This works on all known non hardware enhanced 95 versions. It does not apply to DOS. Be aware there is a mechlab bug which does not allow mech customization, but this does not apply to all versions. Some versions the hook does fix it in, but I am not sure which ones. There are a few methods to getting around this problem, but the simplest method only applies to the Netmech/Vanilla edition of MechWarrior 2. Because this is difficult to explain I will show how to do it in picture form. Ps. Credit for the slug's patch combo goes to Enzo03. [*]Download The hook and begin the installation. [*]Select where you would like the hook installed. [*]If your lucky you will get a success screen, but most people will see this screen instead. 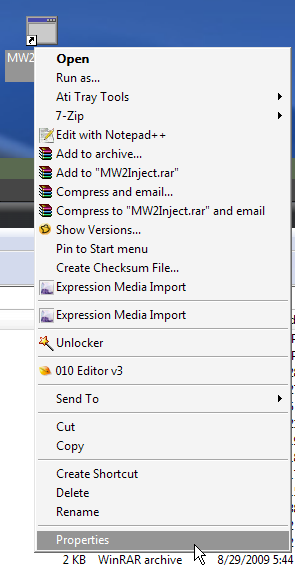 If you get a success screen then you are done after verifying that the compatibility settings on the main MW2 exe are set to 98. 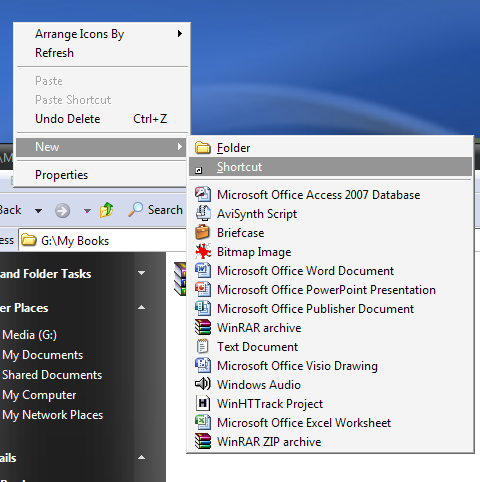 [*]Make a new shortcut on the desktop or wherever you like. 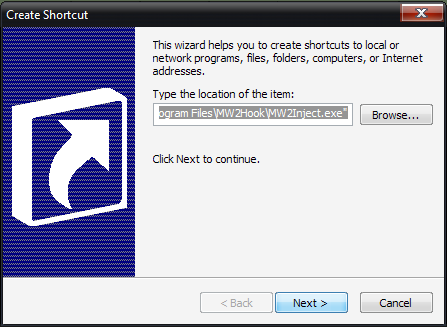 [*]Finish off the last few screens of the shortcut wizard. [*]Go to the properties of the shortcut you just created. 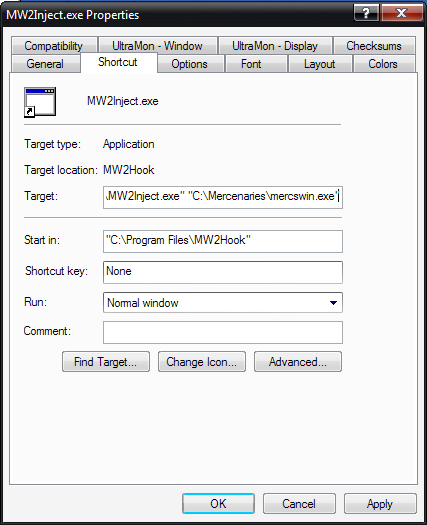 [*]Now, what you need is the full path to your main MW2 executable, then to add it onto the target path similar to what you see in this picture. [*]Set the compatibility mode on your main MW2 Executable. [*]Technically the previous step was the last step, but if you are on a vanilla version(AKA netmech Edition or Pentium Edition) or the 3dfx version of MechWarrior 2 then you need to replace the MW2SHELL.DLL with slug's patch version. Back it up of course before replacing in case something goes wrong. 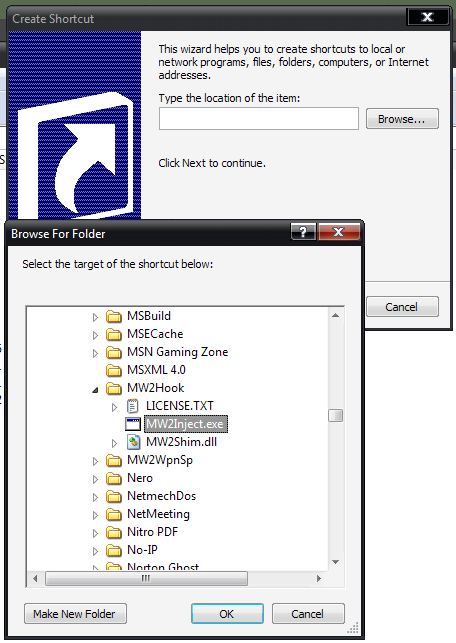 [*]If you used the replacement DLL make sure you put /-mechlab between the two targets on the shortcut or it will crash when you open mechlab. Also, you may need /-startup as well, but I am not sure on that one. If you are using a vanilla version of MW2 such as the Netmech Edition or possibly a Non Retail version such as the Megamedia Bundle then this is the suggested method of installation because it is by far the simplest out of all of the solutions. Please be aware it will not work on the Retail Pentium version. Technically it does but in that case it would be easier to use Solution 1 or 2. Select the MechWarrior 2 directory. Assuming it does not argue with you over version you are done with the installer. Go to the MechWarrior 2 directory and select the mech2.exe's properties page. Set the compatibility wizard so that it is set on Windows 98. If you would like more detail than this there is a video which shows how to use this method. This method that Kontza discovered was the first method to be employed to fix the 95 versions of MechWarrior 2 95, MechWarrior 2 95 GBL, and MechWarrior 2 95 Mercenaries. It is easy to use this method for Mercenaries and may be prefered in some respects since the file that he gives you allows one to set the resolution, fog etc. Doing it by hand though may be a turn off for many people because of the hex editing. The catch with this method is that there is a mechlab bug for all versions of the game. There is only a fix for the MechWarrior 2 Vanilla edition. This fix entails replacing the MW2SHELL.DLL with the one that slug modified. 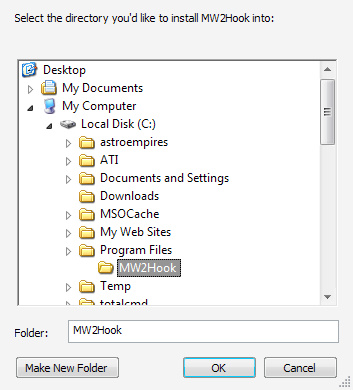 Therefore if you use this method with a vanilla MW2 edition skip any steps relating to modifying the MW2SHELL.DLL or you will be wasting your time. Kontza's solution may be found here. If you plan to use Mercenaries 1.1 you may also want to read this thread. Be aware if you use 1.1 you will have multitudes of problems and we will not be able to help you. Also, I have prepared a video which shows Köntzä method in the latter half of the video. Khorg's post at mektek is the first known place (Thanks npsbre) which outlines how to get MechWarrior 2 DOS working on Windows XP. NTCompatible comes in a close second. You may view a modified step by step visual guide of the process here. 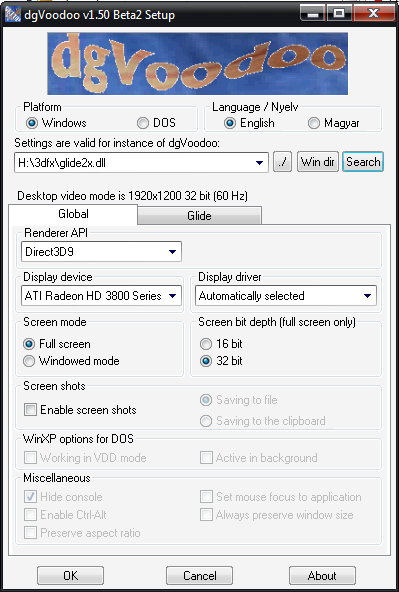 Be aware this will not work on Vista and above and there may be a rainbow mode for those using some types of ATI cards. Also note that while the guide is for MW2 DOS it does apply to Mercs and GBL as well. There is also a video available which details how to get this running. This method has been around for several years, but it was not until recently it became viable with faster computer speeds. The generally accepted minimum speed required is 2.2 Ghz Pentium 4. Do not expect a playable 1024 resolution with that speed though. For older computers this method is out of the question. When this method first came out I was very much against this because the emulation lags the system a great deal which causes frame rate loss, but over time it has proven itself to be very useful especially on the multiplayer end of things. We really owe those that created DOSBOX a debt of gratitude for making a pretty decent emulator. Anyway a short guide for getting MechWarrior 2 DOS may be seen here. There is also a video available which details to a small degree how to get DOSBOX running in XP for MechWarrior2. This method works on all DOS versions of Mech2/Mercs/GBL. In many respects this is the suggested method for DOS because it helps with the jumpjet recharge problem in many cases. Also, here is an example DOSBOX.conf file. This was created a few years ago by slug, and is pretty stable. Thanks go to friskyguy for the steps to get the Installer working. 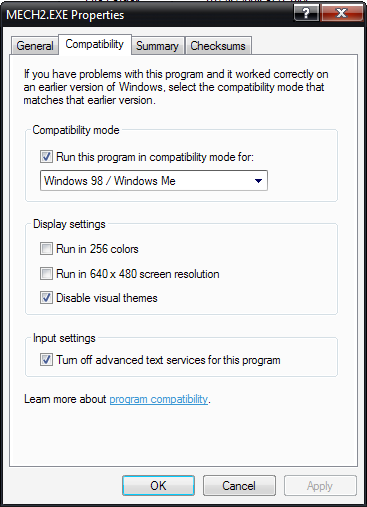 Right click the setup and change the compatibility mode to 95. Right click the setup and select run as. On this screen run as the current user and uncheck the protection box. Patch the game with the patch. If you want to do this method you may download the patch here. Myg is the discovered this method a few years back when we were trying to make a good working spawn for multiplayer on Kali. This works, but it will crash on occasion and it does not really look as good as it would with the real hardware. [*]Install the game like normal. [*]Download dgvoodoo and extract it into the MechWarrior 2 3dfx directory. [*]Your settings will vary, but mine look like the following. [*]Next set the compatibility settings on Mech2.exe to Windows 98. Many times computers are too fast for their own good. MechWarrior 2, Mercs, GBL has jumpjet recharge issues when the CPU is too fast. The jumpjets may either recharge too slowly or not at all depending upon the system. Unfortunately there is no way to predetermine whether this will be a problem on a given system. If they are recharging slower than normal you need to use an application which will slow down the cpu enough for the jets to recharge. There are multitudes of programs on the net which can do this, but my personal favorite is a tool Microsoft wrote called CPUGRAB. Be aware, if you are on a multicore system you will need to slave an instance of cpugrab to every core. Some people report that you can do it with one so long as you slave mech2 to that core, but it does not work for everyone. If you are on Vista/Win7 and are using a multicore system it may be helpful to take a look at this batch file as well. Many people request this fix, so I am including it in the list here.